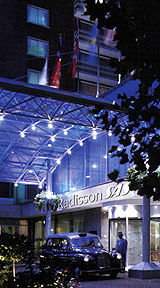 The Radisson SAS Portman Hotel is specifically dedicated to the needs of both the international business traveller and those on holiday. 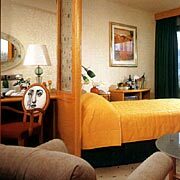 The hotel offers a wide range of amenities and outstanding conference facilities. Located in the celebrated West End of London, in a secluded corner of picturesque Portman Square near Marble Arch, the hotel is within easy reach of all the major commercial districts and also ideally placed for the famous Oxford Street, Regent Street and Bond Street shops and theatreland. The hotel has recently undergone a major refurbishment programme and now offers 272 attractive rooms in a choice of five different styles - Classic, Scandinavian, Oriental, Italian and British - allowing guests to select a decor to suit their mood. These also include 11 King studios, 4 Penthouse suites and 3 Junior suites. All are air-conditioned with bath and power shower, direct-dial telephone, and remote control colour television with CNN, Arabic, Japanese, French, German, Spanish and Scandinavian satellite channels and in-house movies. Other amenities include 24-hour room service, full valet and dry-cleaning services, a room key-card security system and mini-bar. Business class rooms are also equipped with ISDN lines, fax and PC-modem points for transmission and receipt of E-mail.